I’m off on my holidays – so is any registered leader available to lead either or both of the following rides? If a leader is not available there’s no problem with anyone riding into the beyond as a group, however it will be as a group of adults doing their own thing!. 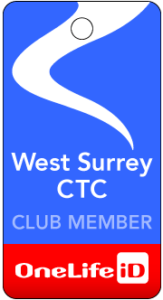 For 21 Sep (start Godalming, coffee Haslemere) – No volunteers (at 16.9.2014) so please do your own thing and enjoy the ride. 5 Oct (start Guildford, coffee One Forty Cafe, Cranleigh) – Thanks to Brian Ross who’s volunteered to lead this one. Please call Peter Fennemore on 01483 300689. If I don’t answer, just leave voice mail and I’ll get back to you.